Sen. Patty Murray of Washington won’t stand on the sidelines when she sees an injustice unfolding right before her eyes. But she has only one week to act. Senator Murray has until Friday, Feb. 19, 2016, to get her colleagues to sign on to a letter that will be handed over to Defense Secretary Ashton Carter asking him to stop this madness. AFGE is also asking senators to sign on to the letter. Any patriotic American would agree Congress needs to do their best for the hard-working military families who sacrifice so much to keep us safe. Period. So when a high-dollar consulting firm wants the Pentagon to cut the paychecks and benefits of veterans, military spouses, and others who work at the Department of Defense commissaries, Congress needs to step in and do something about it. Remember, the Defense Department’s budget is humongous. It’s larger than the next seven highest spending countries combined. Only a teeny-tiny bit is used to provide important benefits to the troops in the form of affordable groceries. But even with that, the Pentagon is not willing to spend that small amount of money to boost morale. Commissaries are places where service members and their families buy groceries at affordable prices. The discounts they receive help offset their meager income. Many commissary workers are also military spouses who work there to supplement their modest household earnings. 9 of 10 active-duty military families use commissaries. 250 commissaries across the world provide groceries and household goods to all seven uniformed services of the United States as well as their eligible family members. $2.7 billion is the annual cost savings commissaries provide to military households. 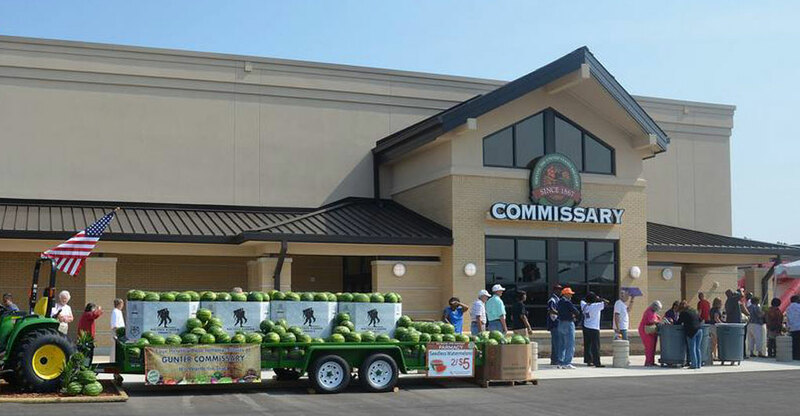 $200 million in income goes to military family members working at commissaries. 25% is the potential cut to workers’ wages under these new recommendations, plus they could lose their retirement benefits, have to pay significantly more for health insurance, and could be more easily fired or have their jobs privatized. We’ve seen grocery workers across the United States struggling with low wages and unable to feed their families. We can’t let the same happen to our military families. So when lawmakers are contemplating the annual Defense spending bill known as the National Defense Authorization Act, AFGE decided to take a stand. We submitted an official testimony for the record on January 13, 2016 to the House Armed Services Subcommittee on Military Personnel and got thousands of members involved. Learn more at www.afge.org.